That gives you the perfect opportunity to step out and explore whatever incredible destination your 5-star floating hotel happens to be docked in. You’ll find yourself right there, in the centre of the action, in one of Europe’s most beautiful regions, with nightly opportunities to stretch your legs and explore. A gourmet splurge in Lyon, the food capital of France, or an evening of fabulous entertainment in Tarascon – the possibilities are endless, and the choice is yours. Combine that with highlights such as immersing yourself in the acclaimed Beaujolais wine region, and a visit to the beautiful Camargue, and the temptations of succumbing to the South of France become even more alluring. 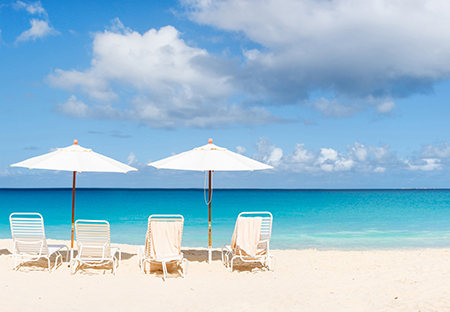 Exclusive: Book by April 30, fly for $695! Welcome to Chalon-sur-Saône where your friendly crew await to welcome you on board your luxurious Scenic Space-Ship. Arrival transfers included from Lyon airport, please book flights to arrive by 1pm. Freechoice: Explore Beaune, including a visit to Les Hospices de Beaune. Alternatively, visit the estate of Château Meursault and taste some of the acclaimed wines from this premium estate located in the heart of the Burgundy region. Freechoice: Experience Château de Cormatin, boasting beautiful gardens and water features. Or join the intelligent hounds and their owners in a nearby quaint village to locate and sample French truffles. Enjoy leisurely cruising to Mâcon this afternoon, or opt for a class in French cuisine in Scenic Culinaire on board. Alternatively, cycle from Tournus to Mâcon and meet the ship there. You’re sure to love Mâcon. Be fascinated by its history and delighted by the surrounding picturesque farming region acclaimed for its five wine appellations and gastronomy.Freechoice: Retrace the traditional life of the region on your visit to the Bresse Museum, or enjoy wine tasting in the celebrated Beaujolais region. Alternatively, visit Cluny, constructed around the great Benedictine Abbey. Experience the French extravaganza that is the can-can among other performances when you are treated to the exclusive gala spectacular, Scenic Rouge, under the big-top onshore this evening in Lyon. Overlooking the Rhône, Tournon Castle is a must-see, both for its historic interest and breathtaking outlook. You’ll enjoy an afternoon aperitif on the terrace of the castle accompanied by local musicians. Enjoy scenic cruising to Viviers this afternoon. Enjoy a walking tour of Viviers including an organ recital in the town’s cathedral.Freechoice: Explore the Ardèche National Park and immerse yourself in the Caverne du Pont-d’Arc Museum, or visit the aromatic Lavender Museum. If you’re feeling adventurous, you can canoe through one of Europe’s largest natural canyons, or drop into the beautiful provincial town of Grignan. Freechoice: Sample the celebrated wines of Châteauneuf-du-Pape at a Côtes du Rhône vineyard or take a guided hike through the vines. Enjoy picturesque cruising to Avignon this afternoon where you’ll take a walking tour including a visit to the city’s architectural jewel, the Popes’ Palace. Be treated to a truly unforgettable experience at the prestigious Popes’ Palace of Avignon. After the doors close to the general public, you’ll enjoy an exclusive gala dinner and classical concert in one of the grandiose rooms. Choices today include the spectacular La Camargue National Park.Freechoice: Take in the wild beauty of Saintes-Maries-de-la-Mer and visit the Parc Ornithologique. Alternatively, visit the fortified Mediterranean village of Aigues-Mortes, or join a guided cycling tour to the Abbey of Saint-Roman cave monastery. Or for something more relaxed, stay on board for a Provençal soap-making workshop.This afternoon, relax on the Sun Deck while cruising roundtrip from Tarascon towards the Mediterranean Sea. Tonight, a Camargue gypsy band performs live on board. The town of Tarascon exudes a medieval charm.Freechoice: Explore the artistic heritage of Arles, and see the striking Arles Arena, or stop in at the pretty hilltop village of Les Baux before touring a charming family-run olive farm. Alternatively, pay a visit to Saint-Rémy and Saint-Paul de Mausole Monastery where Van Gogh was held for a year. All good things must end, and after enjoying a great breakfast, disembark your Scenic Space-Ship and transfer to Marseille airport, taking with you memories to last a lifetime. Exclusive $50 USD per cabin on board credit!